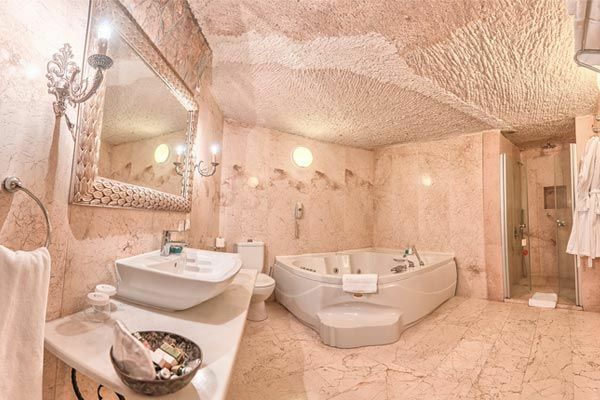 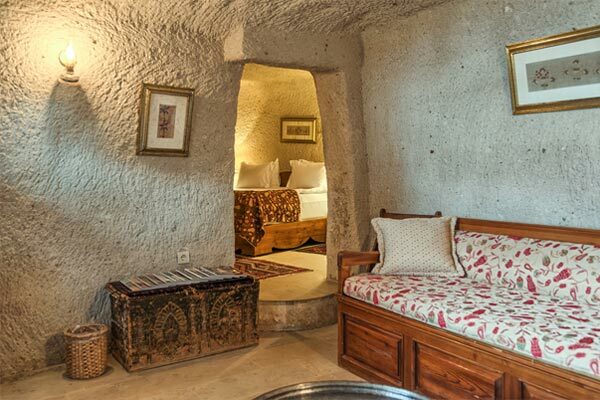 Eftelya Suite, located next to Naile Hanım Cave Suite, symbolizes the love of Ömer Bey for his Greek wife, Naile Hanım. 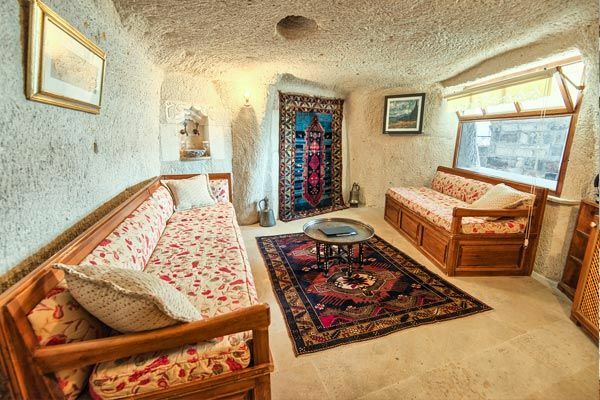 This richly decorated room has red and white Cappadocia wine on tap. One for white, the other for red, wine on tap is just one of the small touches we’ve thought of.